This week the White House announced yet another Obamacare delay–actually, to be precise, they termed it an “accommodation”. The reason given for the delay was that there were concerns voiced by the Obama administration that the “rush” to sign up during the final days may cause delays and result in a website crash. Therefore, it was proclaimed that those who were “trying to sign up” would be given an extension to mid April to complete the process. Overall there have been more than 20 unilateral changes/delays/exceptions made by the President without Congressional approval or oversight. Exceptions have been provided for businesses and those who serve and work in our Congress BUT the individual mandate remains in place. In the meantime, many that have been counted as “signing up” have no insurance and a large number have not yet paid their premiums. However, the biggest problem with the manipulation of the Affordable Care Act (ACA) may actually be the commentary of one of its greatest supporters–Senator Harry Reid. With the 2014 Midterm elections looming, many of those in Congress who are facing reelection have commented on the latest delays in an effort to positively spin the news. As you might expect, those in leadership roles such as Senator Harry Reid have tried to minimize the impact of repeated Obamacare failures and fixes on his part (a desperate attempt to cling to a majority). In an effort to explain the need for the latest delay Senator Reid has shown his complete lack of connection with the nation. He publicly proclaimed and was quoted in the Washington Times as saying that “some [old people] may not be educated about [or understand] the internet”. In reality, more seniors than ever before are utilizing the internet in order to maintain medical information. Pew Research Center data indicates that as of 2013, nearly 60% of all Americans in the 50-65 year old age group are actively engaged in internet based social media. Even more telling is the fact that 50% of those over the age of 65 are involved in AT LEAST one internet based social media outlet. It is clear that the internet and medicine will be intimately connected in the future. Twitter, a popular site for micro-blogging in 140 characters or less has seen a 79% increase in utilization by users in the 50-65 year old age group. When you carefully examine the Senator’s comments he is clearly referring to those in the 50-65 year old range–those over 65 will be enrolled in Medicare and have no need to go to the exchanges. The younger populations-such as the millennials–are assumed to be web savvy from birth. The delivery of healthcare is already evolving digitally–particularly in the areas of the electronic patient and in mobile health applications. For Senator Reid to make such a statement concerning the inability of older Americans to “understand” the internet not only is insulting but shows a complete lack of connection to and respect for the very people he claims to want to protect. Seniors are more web savvy now and are able to access the web in a variety of ways–there is data from non biased scientific surveys (such as those conducted last year by Pew) to substantiate my statement. In reality, his comments are a sad attempt to explain the inexplicable–why do the Democrats in Congress continue to hang on to a system that is clearly failing? The ACA continues to suffer setbacks–most of them at the hands of the President who has dedicated his legacy to its success. The latest delay (or accommodation, as the Obama Administration prefers to call it) is more about the lack of enrollees and less about the ability of older Americans to successfully interact with the internet. 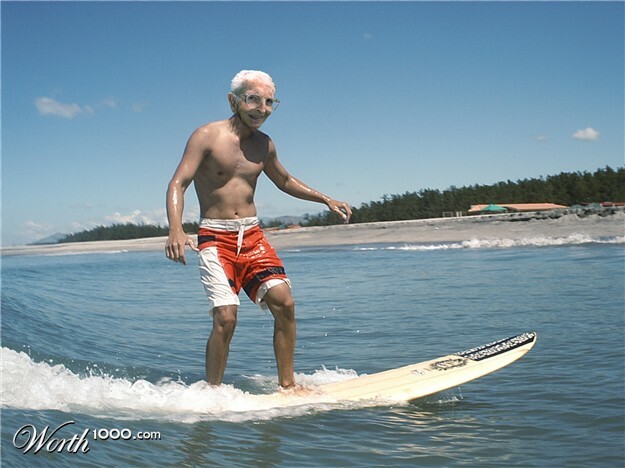 Many seniors are surfing on a daily basis. The internet is not the problem with the ACA and healthcare reform–rather it is the legislation that is broken and badly in need of a fix. 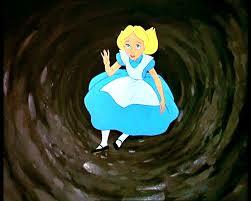 Home monitoring to improve health outcomes: Holy grail or Rabbit Hole? Technology in medicine advances at a rapid pace. In the US today most patients have access to mobile phones, smartphones and tablets. Medical device makers continue to innovate and create ways in which these technologies can be used by patients and physicians to monitor complex biologic machinery such as implantable cardiac defibrillators (ICDs) and Pacemakers at home–without the need for routine office visits. These technologies create large masses of DATA. These home-generated data can be instrumental in managing chronic disease but can also create logistical as well as legal issues for physicians and their staff. For the longest time, physicians have relied on patients to bring in a log of their blood pressures or blood sugars from home (often scribbled on a notepad, and often not accurately recorded) in order to determine when medication adjustments are needed. In patients with congestive heart failure, physicians rely on a log of daily weights in order to make changes in the patients daily diuretic regimen in an effort to prevent hospital admissions for decompensation. Now, device makers have created insulin pumps and glucometers that can be downloaded to a laptop and the information emailed to the physician for analysis. ICD makers such as Biotronik actually have created cell phones that interact with the implanted device and transmits regular data to the physician 24 hours a day. The big question is: Does home monitoring really make a difference in outcomes and does it impact cost of care? This week in the Annals of Internal Medicine, an important meta analysis was published evaluating the effectiveness of home monitoring technology on outcomes in patients with high blood pressure. In the study, 52 different comparative trials were analysed. Each of these trials evaluated the effectiveness of home monitoring of blood pressure and compared outcomes to patients who received home monitoring plus additional online or in-person support. The study showed that all patients who had remote home monitoring of blood pressure had lower readings at 6 months but only those with home monitoring plus additional infrastructure and support from their physician’s office had more long term benefits. Moreover, those patients with the added support experienced a more substantial reduction in blood pressure when compared to standard care or to remote monitoring without additional support. As reported in the Wall Street Journal this week, the economic impact of home monitoring and data management on physicians and physician practices may be significantly negative. Currently, physicians are not reimbursed for much of the home monitoring data management (with the exception of ICDs and Pacemakers which are reimbursed by medicare). Many practices are hiring complete departments of highly skilled nurses and staff to deal with the enormous amount of incoming patient data from remote sources. The additional staffing required to process and react to home monitoring data creates additional overhead–all in a practice setting where reimbursement continues to decline. At some point, something has to give. Don’t get me wrong, I am a huge proponent of the ePatient and of mHealth. Using technology to help patients manage chronic illnesses at home is the way medicine will be practiced in the future–and this practice will ultimately improve outcomes. However, as technology advances, we must also find a way to advance the way in which physicians and their staff are able to process and utilize data in a cost effective and meaningful way for the patient. If the government intends to successfully overhaul healthcare and institute a fully electronic universal electronic medical record, then some consideration must be given to practice workflow, data management and the costs associated with the challenges that these new frontiers will present. The Annals of Internal Medicine study is clear–home monitoring and data collection helps patients manage their chronic disease–BUT, the largest benefit is seen when home monitoring is combined with additional support from the patient’s healthcare team. Social media has opened a whole new world for patients. Now, information about disease is readily accessible and available to everyone. Certainly, there are issues with reliability and accuracy of internet sources and this can create uneasiness and misunderstanding for both physician and patient. However, the internet can also provide many new therapeutic possibilities. In particular, online support groups, twitter chats and blogging can provide a positive outlet for patients suffering with disease. Today, I want to focus on one of these internet opportunities–the patient blog. Recently, a online article on iHealth Beat explored this concept of patient blogging and its benefits. Just as commonly experienced in the climax and resolution phase of Greek tragedy, writing a blog about one’s experience as a patient can be cathartic. Patients with chronic illnesses or with a new diagnosis are often confused, frightened and angry. Numerous studies in the psychiatry literature have demonstrated that journaling or writing about one’s feelings and experiences can have a very positive effect on emotional health. Journaling has been shown to have several other unexpected benefits as well. In the age of the internet and social media, journaling is now called blogging. 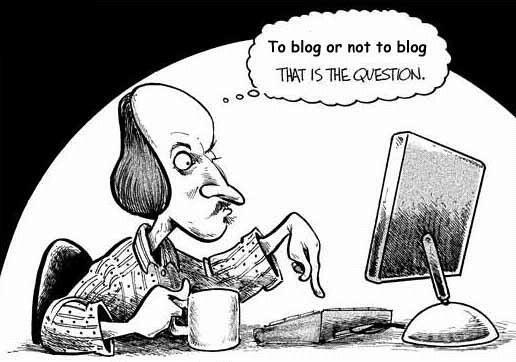 Blogging can be a private posting (where only you or those you approve can see) or can be made public for anyone to see. 1. Blogging helps to clarify thoughts and feelings: Often writing down our feelings provides a way for us to better organize our thoughts. Blogging can help patients with terminal illnesses better understand their disease and how they are reacting or adjusting to the challenges of the diagnosis and/or therapy. 2. Blogging helps you to get to know yourself better: Writing routinely will help you better understand what makes you happy and content. Conversely, writing will also help you better understand what people and situations upset you. This can be incredibly important when battling chronic disease. It is important that you are able to spend more time doing the things that make you happy and are able to identify and avoid things that are upsetting. 4. Blogging helps unlock your creativity: Often we approach problem solving from a purely left brain analytical perspective. This is how we are taught throughout our education to attack problems in math and science in school. However, some problems are only solved through creativity and through the use of a more right brain approach. Writing allows the right brain to creatively attack problems while the analytical side of the brain is occupied with the mechanics of the writing process. I believe that blogging can be just as important as medication compliance in patients with chronic disease. The diagnosis of a chronic disease can produce a great deal of stress and emotional angst. Patients who are able to deal with negative feelings and emotions in a more positive way are better suited to tackling their health problems. As mentioned above, blogging has many benefits on our emotional health. By dealing with negative emotions and unlocking creativity, we are better able to deal with the realities of chronic disease and more effectively interact with friends and loved ones. I encourage everyone–patient, physician, family member or friend–to begin to blog. I expect that the health benefits of writing will be well worth the time in front of the computer screen and the insights that you may discover about yourself may be be life changing.